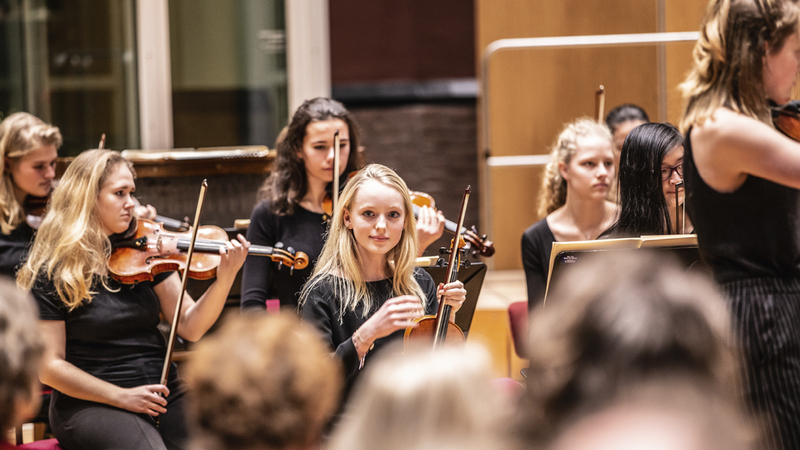 The Amsterdam Young Philharmonic (AYPhil) is a youth orchestra which plays the great symphonic repertoire to a remarkably high standard. It gives three or four full-scale concerts each year, with the venue and programme decided by the members themselves. All are aged between 12 and 18. Musicians from NedPhO|NKO coach the young players to bring out their full potential. The conductor of AYPhil is János Konrad, NedPhO’s principal viola.